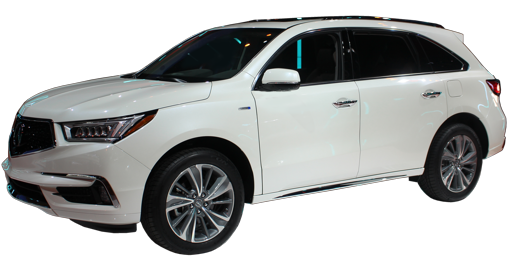 All of the changes for 2018 Acura models will be posted here, so bookmark it! So far: MDX, RDX and TLX. A Special Edition takes elements from the A-Spec to give a sportier appearance. A new infotainment interface gas 30% faster response time and standard Apple CarPlay and Android Auto. The top sedan at Acura gets a complete make-over, including a new, much cleaner grille with all signs of the "Acura Beak" gone at last. 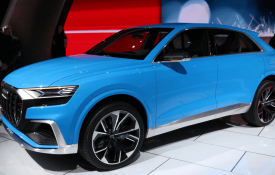 Sportier vents in front of the front wheel arches, a reshaped hood, new wheel designs, new taillights, a redesigned rear fascia and exhaust tips complete the refresh on the outside. Overall length is up by two inches. On the inside, new materials and Milano seats with contrast stitching give a new look to the cockpit. A black headliner is offered. Mechanically the only change is that a 10-speed automatic replaces the 6-speed on non-Hybrid (front-wheel-drive) models. Traffic Jam Assist uses the Adaptive Cruise Control and Lane Keep Assist to help take stress off the driver in bumper-to-bumper traffic by follwing the car in front and keeping the car centered in its lane automatically. Further simplification in packaging: Technology Package is still standard. Advance Package is now standard on and only available on Sport Hybrid. 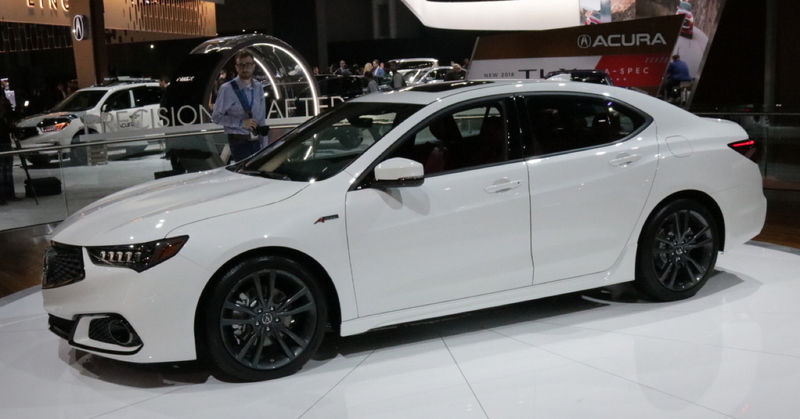 The TLX gets a refresh for 2018, with the "Acura Shield" gone completely. With a new, open grille, aggressive front fascia, reshaped hood and front fenders, the look is clean and sporty: a clear improvement over 2017. 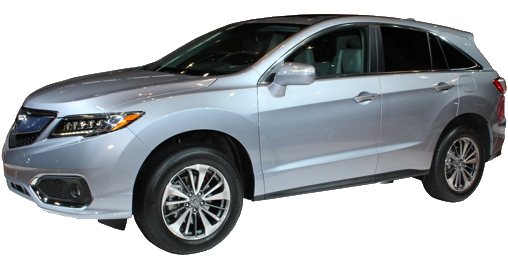 Wheels are new accross the board and the 5-LED Acura headlights are restyled. An "A-Spec" package is now offered on V6 models, with new larger 19-inch wheels, stiffer suspension tuning, quicker steering ratio (SH-AWD) and a blacked-out appearance. 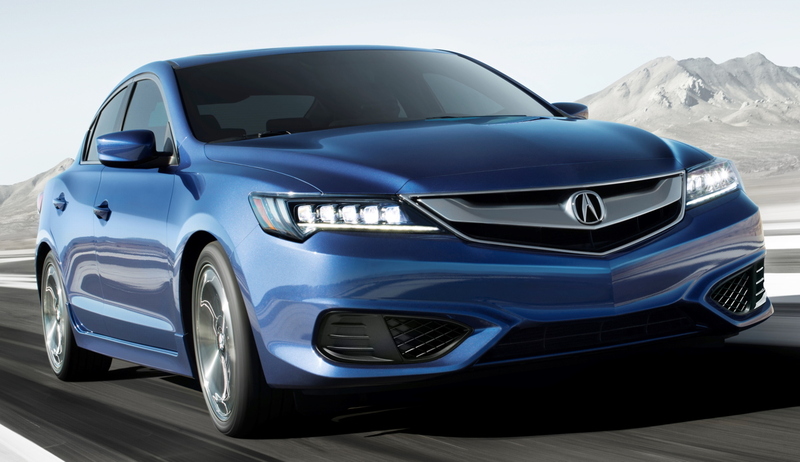 The A-Spec TLX bears all the equipment in the Technology Package, plus LED ambient lighting and sportier seats. An exclusive paint shade: "Still Night Blue Pearl," a thick badged steering wheel and two unique interior schemes round out the A-Spec. Please choose "Black with Alcantara™. The world doesn't need any more eye-seering bright red interiors with red leather seats. Leave that to the Maseratis. On the safety front, collision warning and the collision mitigation braking system (automatic braking) have been made standard across the line. Lane Departure Warning with Lane Keeping and Road Departure Mitigation are also now standard on all models. Blind Spot Warning with Rear Cross Traffic Monitor are still options, part of the A-Spec, Technology or Advance Packages. Adaptive Cruise Control with Low-Speed Follow becomes stadnard since it uses the same hardware as the collision mitigation braking. Automatic headlight high beams are added as standard equipment. Rear door sensors are added to the Smart Entry system when you order the A-Spec, Technology or Advance Packages. Now when a person with a key in their possession grabs a rear door handle, the car will unlock automatically. 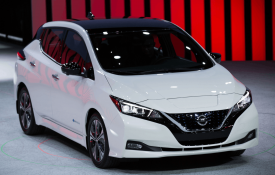 A Surround-View camera system is part of the Advance Package, as are power-folding side mirrors and a heated windshield. Heated outboard rear seats and a heated steering wheel are also part of the Advance Package. SiriusXm Satellite radio is now standard. The Nine-speed automatic paired to th V6 has been returned for better feel. Wireless phone charging is included in the Advance and A-Spec.